Do what you love and love what you do. Search for ways to live with passion. You are unique and you are here for a purpose. Find the reason of your existence. Describe your role in life in 3 or 4 words. Forget about these long, general and not memorable mission statements. Be very specific about what you are here to do in this life. Have a vision that really inspires you and triggers your greatness. Your vision must be clear and motivates you to transform it into reality. Make it hot. A hot vision gives you a tremendous amount of enthusiasm that makes you can’t stand still. Have a hot vision that keeps you alive and spices up your life. Have a hot vision that makes you an unstoppable achievement machine. Milestones are big goals and turning points in your journey. They are like indicators along the road to tell you that you are on the right track. Each milestone is a big achievement on your way to your ideal life. Goals are small and specific tasks that define your action plan. Goals must be specific, measurable, attainable, relevant, and timely. Each goal is a step towards achieving one of your big milestones. The only difference between an average individual and a super successful one is taking action. Get started. Take the first step and keep the momentum. Just start. Be flexible to changes and improvements. Be optimistic. Broadcast powerful positive energy and confidence over your own media network. Positive energy will attract positive results and opportunities. Become a magnet that attracts success 24/7. You will always receive the energy you project. If you project positive energy you will receive multiples of it and vice versa. Act as if your vision is happening. 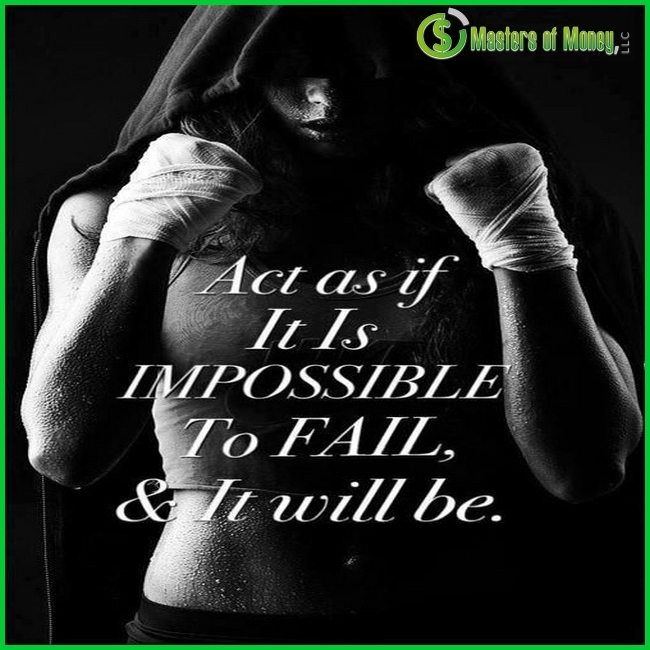 Act as if you will never fail. Act with confidence and power. Keep your vision in front of your mind’s eye day and night. Act as if you are living your vision. When you do that you will attract more opportunities and more success to your life. Avoid negative people. They don’t have dreams and want everyone to be like them. They are dream robbers and energy vampires. Don’t care about what they say. Ignore anyone’s negativity and focus on what you want. Develop confidence and trust in yourself. If you don’t believe in yourself and your dreams no one will do. Face your fears. Fear will do nothing except stopping you from getting what you want. Let your dreams give you the power to face fear and uncertainty. Find a team with the same interests and dreams then work and think together. Have a soul mate who cares about achieving the same level of success as you do. Gather around yourself people more brilliant than you. Develop a strong network of influencers who can help you get what you want easily and quickly. Follow these success tips, and you will become a huge success magnet that attracts success beyond your wildest dreams! Dreams can be had. Goals can be achieved. Questions can be answered. Be open to opportunities!” Michael “MJ The Terrible” Johnson – Founder & Owner – Masters of Money, LLC.